Mike Challis’s Suffolk Dawn Chorus welcomes the new day. Recorded at nearby Carlton Marshes, this Dawn Chorus installation of a mix of species includes the Sedge and Cetti Warblers, Cuckoo and Tawny Owl who inhabit Carlton’s woodland, wetland and meadows. 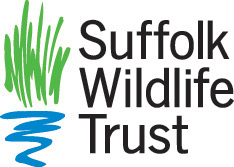 Commissioned by Suffolk Wildlife Trust it connects the coast with the nearby Broadland landscape and raises awareness of the exciting expansion of Carlton Marshes which will link up three nature reserves that are home to some of the UK’s rarest wildlife. Listen as the beach wakes up to this glorious Suffolk soundscape. Sound artist Mike Challis makes SoundHides which encapsulate the sounds of an environment throughout the seasons.